Happy Hunger Games! This week, ESO crew was selected to compete in the podcasting arena. Jennifer Hartshorn from the Higher-Learning District dominated her opponents Mike Faber (Info Tech District), Mike Gordon (Tiki District), Bobby Nash (Award-Winning District), and Ashley Bergner (Blogger District). However, all the tributes participate in the tour of the popular books and movies. We also chat with Forgotten Realms writer, Richard Lee Byers, who must come up with more than The Q Word for The Geek Seat. May the odds be in his favor! 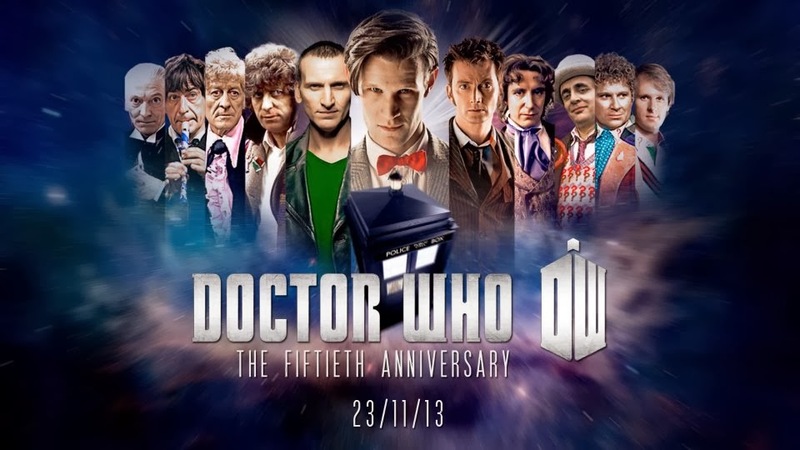 Plus, a huge rave for the Doctor Who 50th Anniversary along with the usual Khan Report and Shout Outs! My Shout Out goes out to Steven Moffat and everyone involved in making the 50th anniversary of the Doctor Who franchise one amazing party! From the behind-the-scenes specials to the mini-episodes to the IDW comics to the Big Finish release to the magazine and more. All leading up to The Day of The Doctor feature which was better than it had any right to be! Happy Birthday, Doctor! 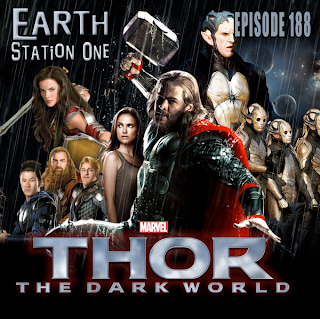 Next week, we take a look at our favorite Asgardian and review his newest big screen adventure, Thor: The Dark World. Plus, the usual assortment of Rants & Raves, Khan Report, interviews, The Geek Seat, Shout Outs, and so much more! After 50 years, The Doctor finally had his day and what a day it was! 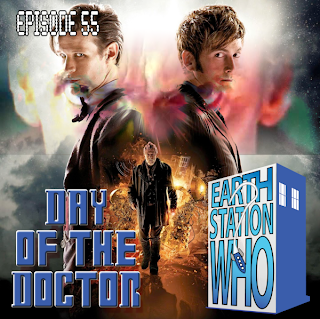 After the record-breaking global broadcast, the ESW crew celebrated the 50th anniversary with an event co-hosted with TimeGate Convention, The Forgotten Doctor and DragonCon British Media Track. Mike, Mike, Jen, and the Phantom Troublemaker had a blast sharing initial reactions to The Day of The Doctor special along with the award-winning author Bobby Nash, Beau Brown, Kirby Bartlett-Sloan, and the main man of the night, Alan Siler. It was an added bonus to hang out with many friends and fans throughout the evening. So much fun, it should be an annual holiday! Lights…Camera…Action! The ESO satellite reeks of testosterone this week as we rave about our favorite action heroes on the big and small screen. The award-winning author Bobby Nash takes control of the station and leads the elite fighting force of Mike, Mike, Dan Carroll, and Thomas Deja through shootouts, fists of fury, daredevil car chases, and explosions galore to find out which heroes are left standing and which are expendable. And if that wasn’t enough to make our guest Thomas sweat, we also strap the writer in The Geek Seat. Plus, Michael Day beams aboard to promote the upcoming Farragut Fest in the Khan Report. All this along with the usual Rants, Raves, and Shout Outs! My Shout Out goes out to the Make-A-Wish Foundation. If I ever find myself representing humanity placed on trial by an omnipotent being, this organization is my exhibit A for reason enough to allow mankind to continue. 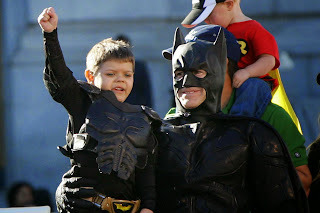 And because Batkid. Next week, it’s time to be bold. ESO steps into the arena to cover the 75th Hunger Games! The station crew takes a look at this recent phenomenon from the novels to the movies and beyond. 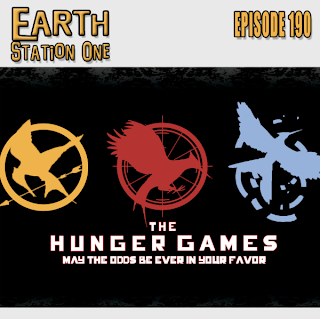 We’ll also review the newly released Hunger Games: Catching Fire motion picture.. Plus, the usual assortment of Rants & Raves, Khan Report, interviews, The Geek Seat, Shout Outs, and so much more! Since the summer movie season ended, the cinematic landscape has been pretty bleak. This weekend, just like thunder, the Odinson arrived in theaters with a sequel we can’t wait to talk about! Mike, Mike, the award-winning author Bobby Nash, Jennifer Hartshorn, Alex Autrey, and Rob Levy journey to Asgard to see if each is worthy of Mew Mew. We also chat with Ken Spivey and Dr. Scott Viguie about the Time Lord Fest event in Tampa last weekend. Plus, the usual Rants, Raves, and Shout Outs! My Shout Out goes out to all those brave men and women who have provided service to our country. We honor them on this Veterans Day. 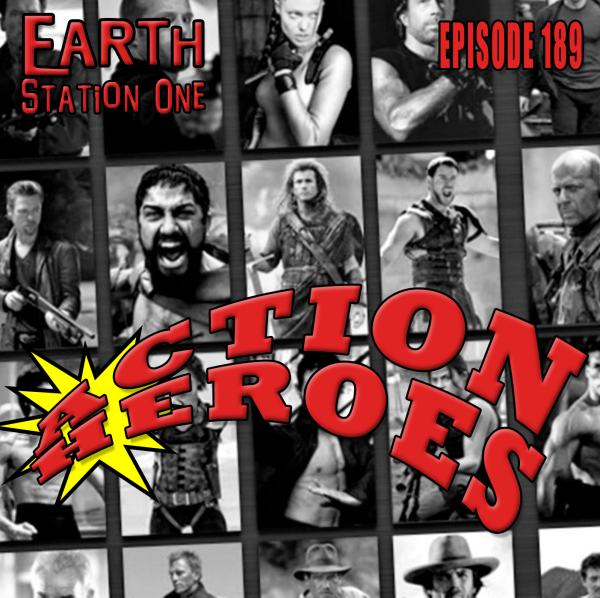 Next week, it’s all out action for the crew as ESO takes a look at our favorite action heroes from the movies and TV. But that’s not all! In this thrilling episode, you’ll also get Rants & Raves, Khan Report, interviews, The Geek Seat, Shout Outs, and so much more! Watcha gonna do brutha, when the ESO crew runs wild on you? Oooooh yeeeah! 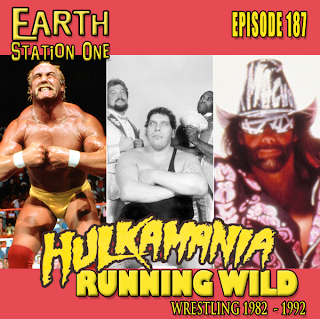 Mike, Mike, the award-winning author Bobby Nash, Joe Crowe, and Nick Ahlhelm step back in the squared circle to witness the birth of the superstars of wrestling. While we’re on the subject of giants, we also shoot with the president of the Atlanta Science Fiction Society, Michael Liebman, before we turn heel and strap him in The Geek Seat. Plus the usual Rants, raves, Khan Report, and Shout Outs! Ooooooooooooohhh, what a rush!!! My Shout Out goes out to the Boston Red Sox. 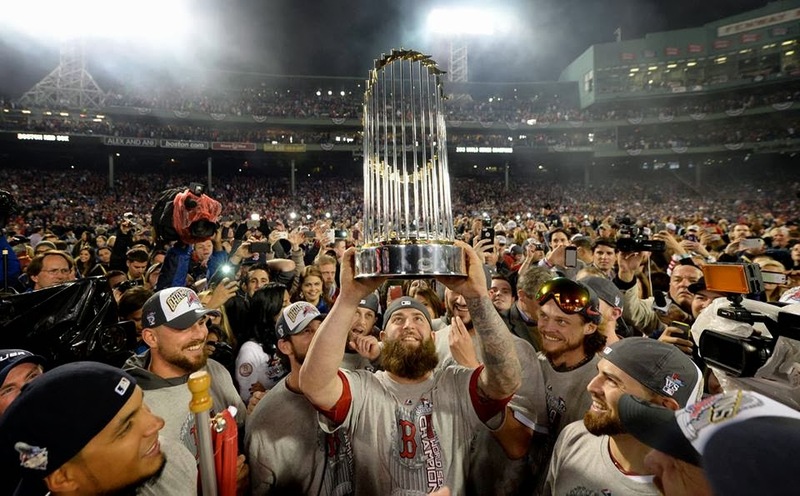 Once again, the BoSox are the MLB World Champions!!! They were thought to be lost forever in the Time Vortex, but classic episodes of everyone’s favorite Mad Man with a Box have been discovered! 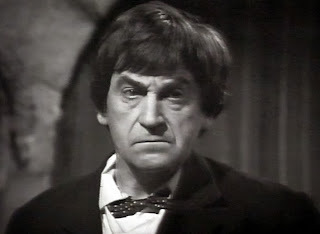 Just in time for his 50th anniversary, nine parts of the Second Doctor’s run are returned to us! To discuss this news, RevNews host Gary Mitchel has crossed timelines with expert Whovians Nathan Laws and Mike Gordon to go over how the episodes were lost, found, and the importance of their recovery in Doctor Who history. Talk to us at Facebook and our Twitter, and at revcast@revolutionsf.com. Our theme music is “Cultists On Board” by Darkest of the Hillside Thickets, courtesy of Divine Industries. 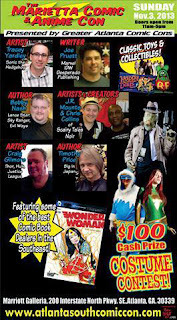 The Sunday, the Marietta Comic and Anime Con returns bigger and better! Unfortunately, the award-winning author Bobby Nash will not be able to attend, but Mike Faber and I will represent ESO. We'll have lots of other friends of the station there as well. Come on by and say, "Howdy!" Whoa Nessie! 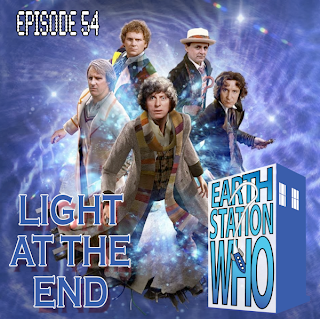 The ESW crew review the long-awaited DVD release of the classic Fourth Doctor adventure. Mike, Mike, Jen, and the Phantom Troublemaker avoid head shots, low budget stop motion effects, and orange calamari-pickle monsters to discover one of the best Doctor stories of the franchise. We also revisit the Tenth Doctor and reveal more about our plans for the 50th Anniversary Special.